This is only a ‘partial’ panorama, probably only covering around 90°. 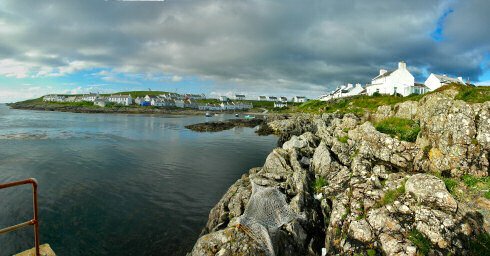 I also have a 360° panorama of Portnahaven, but that's comparably small. It was created in 2003, in times before broadband. Once I find the time I will probably create a larger version of it as well. With broadband it should load as quick as the small panorama a few years ago. That's all for now, hopefully more updates to the travelogue soon. Good night for now.